Contact Janie / Get Involved! Quality Public Education: Businesses need a highly skilled workforce and well-funded research and development programs. We want to ensure our children and grandchildren have the opportunity to work and stay in Idaho to raise their families. It is important to remember that education funding remains $85 million dollars short of 2008 appropriation levels, and that local school districts continue to pass local levies to fund their schools. I am cosponsoring 4 bills that will put the 20 recommendations made by the Task Force in place. We know we cannot fund all the recommendations this year, but we can put the framework in place and begin implementation. I am advocating for a 2% increase for educators this year while we wait to enact the career ladder program. I am also one of the cosponsors for the 3 year pre-K pilot program. 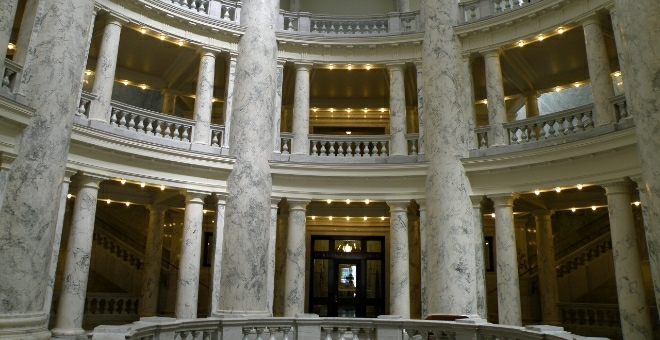 This bill will allow us to test the effectiveness of pre-k in Idaho with a minimal investment. Ethics in Government: The imbalance in our legislature has created an environment where the majority party has routinely ignored ethical lapses on the part of public officials. I will be a legislator worthy of your trust. Economic Growth and Job Creation: A slash and burn policy is not going to grow our economy or create new jobs. These are serious times, and they require creative solutions and a common sense approach. Protecting our Open Spaces, Water Quality, and Clean Air: We need to protect our Idaho way of life. Our natural resources and recreational opportunities need to be preserved for our children and grandchildren. Planning for our Energy Future: We need to be proactive by designing ways to meet our energy challenges in the future. Protection for Abused Animals: The Idaho Humane Society is located in District 18. We need to give them the tools they need to respond to cases of animal abuse. Supporting our Military: Gowen Field is located in District 18. It is important that we continue to support our service members and their families. Working for Tax Fairness: We need to make sure that our tax policies are fair and equitable for Idaho families. Health Care: We need a health care plan that will provide quality care at an affordable price for Idahoans.